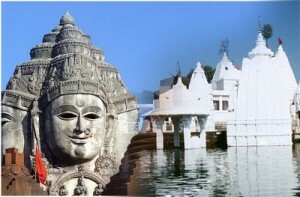 Amarkantak is 235 km from Jabalpur and is situated at an altitude of 1065 mts. at the meeting point of the Vindhya and the Satpura mountain ranges amongst sylvan surroundings, Amarkantak is a great pilgrim centre for the Hindus, and is the source of the rivers Narmada and Sone. Amarkantak is indeed blessed by nature, holy ponds, lofty hills, forested surroundings, breathtakingly beautiful waterfalls and an ever-pervading air of serenity make Amarkantak a much sought-after destination for the religious-minded as well as for the nature-lover. Rail:Nearest railway station is Pendra Road. Road: Amarkantak is well connected by roads throughout the country. 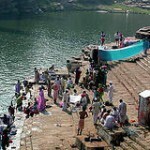 Narmada Udgam: A temple built at the source of the Narmada – the holiest spot in Amarkantak. Sonmuda: Source of the river Sone. It is also known as “sunrise” point. Brighu Kamandal:Here we can see an ancient Kamandal or water pitcher, which is always full of water. Dhuni Pani: A hot spring in a thick forest. 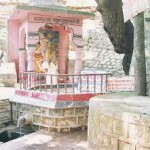 Dugdhdhara: The water falls from a height of about 50 ft in a milk-white cascade. Kapildhara: A beautiful picnic spot and a waterfall. Mai Ki Bagiya: A lovely garden with a temple. This entry was posted in Amarkantak, Madhya Pradesh and tagged amarkantak india, amarkantak map, amarkantak temple, amarkantak tourism, Brighu Kamandal, Dhuni Pani, Dugdhdhara, how to reach amarkantak, Kapildhara, Mai Ki Bagiya, mp tourism amarkantak, Narmada Udgam, Sonmuda. Bookmark the permalink.